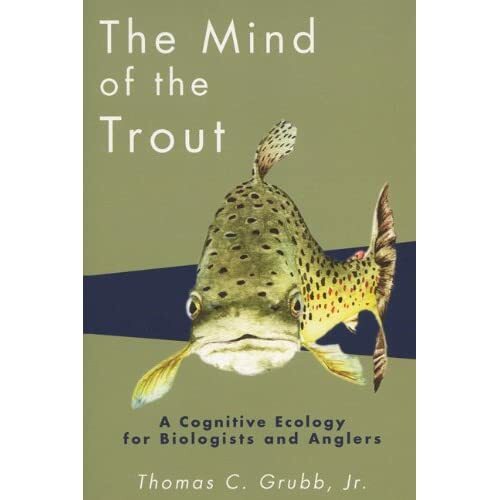 I took advantage of a long flight back to Alaska yesterday to finish reading Thomas Grubb's 2003 book, The Mind of the Trout. It's very good. I'm surprised to see it hasn't come up in discussions here yet, because this site caters directly to the book's target audience of scientifically curious fly anglers. Most scientifically oriented fly fishing books focus on the insects trout eat, just like the aquatic insect encyclopedia on this site. We devote hours upon hours to learning how to distinguish between nearly identical mayflies using microscopic features. While some entomology does help us catch more fish, we take it to levels that would be absurd if catching more fish were our only purpose. We really do these things because we enjoy every minute on the river more deeply when we better understand what's going on around us. The cycles of aquatic life are fascinating dramas, and dramas are more enjoyable when the characters are well developed. When we understand the life story of each insect we see, when we know the trials and tribulations of its life cycle, the whole experience is more profound. Entomology tells us about the characters in the stories we witness on the river. 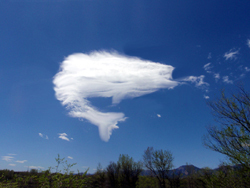 It seems odd, then, that we largely overlook one character in our hunger for scientific detail: the trout. We have plenty of observations of trout behavior as it relates to catching them: where they like to feed, how to avoid scaring them, what time of day to pursue them, etc. That's good practical advice from angler to angler, and many of the best angling writers (like LaFontaine and Marinaro) were real scientific naturalists in all but formal title. But the scientific literature also holds some very interesting information about why trout do what they do, and angling writers have overlooked most of it. The Mind of the Trout changes that. This book, written by a scientist with relevant expertise, very thoroughly summarizes the scientific literature on several subjects related to how trout live and, especially, how they think. It nicely ties in relevant science from other animals when an important question hasn't yet been studied in trout. The author adds excellent insights of his own to fill some of the gaps and tie scientific findings to angling. The book is written on a level for anglers who enjoy technical detail but are not steeped in the jargon of the field. However, I'm completing a Ph.D. on the behavioral ecology of salmonids, and I still learned a lot from this book. I can guarantee the same for anyone who reads it. Whether or not this book is for you comes down to what you want to learn. 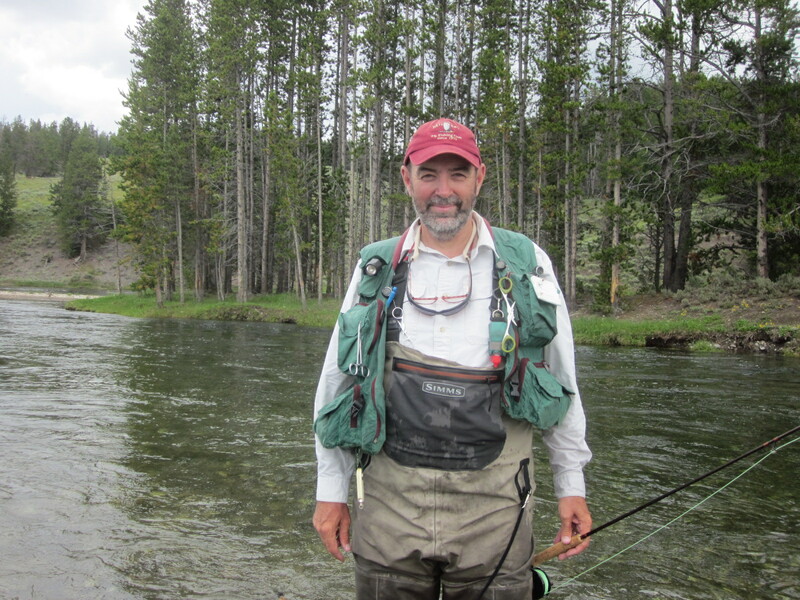 Just like the technical books on fly fishing entomology, most of the book is superfluous to the task of catching trout. This is a book to help you appreciate the trout. It sometimes leaves us unsatisfied with how little is known about an interesting question, but that's not the book's fault -- it honestly summarizes the best science has to offer, but the scientific study of trout behavior and cognition is a young field that has barely scratched the surface of the difficult mysteries it's exploring. I would not recommend this book to someone who picked up a fly rod for the first time last month. However, if you're the kind of angler who can name more than three stonefly mouth parts off the top of your head, but the term "optimal foraging theory" is unfamiliar and you can't fully describe the relationship between food, temperature, and trout growth, then I think you'll enjoy it as much as I did. I wonder that too. :) Yet, I am undaunted, and still kickin'. Jason...I will read the book and I promise to get back to you. Posts: 1776 Spence, I think Mr. Wyatt is right on. And... I think I know why (�immodest as it sounds). To me, that�s exciting. Thanks for the links. Posts: 2587 Ok...I wasn't going to go here, but...I've already upset my friend Tony in a text when I mentioned Bob Wyatt...Anyone heard of him? Otherwise...How could we justify the effort, the long trips, the outlay of dough for tackle? Maybe some would prefer that Pandora's Box stay closed. Thomas C. Grubb Jr. 2003. The Mind of the Trout. University of Wisconsin Press.